We provide a fast, reliable skip hire service for residential households and commercial businesses in the following areas Staines, Ashford, Twickenham, Richmond, Shepperton, Hounslow. Skip hire Surrey: Chertsey, Kingston, Walton, Weybridge and Skip hire West London: Ealing, Chiswick, Acton, Hammersmith and Middlesex. To see if we deliver in your area please view our delivery area. If you are unsure of what skip is right for your needs you'll find all your questions answered in regards to sizes and capacities on our skip sizes page and lots more useful information on our FAQ page. Customer service is paramount to skips2u. You'll find our staff are polite and courteous, we arrive on time, collect on time and our prices are fantastic too. Our skip hire service is available 7 days a week with same day delivery and collection. To arrange the right skip for you please call us on 020 8528 2727 or 01932 787812. "We have used skips 2 u for many projects over the years . Always deliver and collect on time . Very reasonable price and very friendly people . Wouldn’t go anywhere else ." 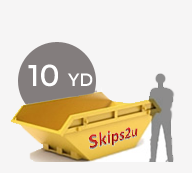 "We’ve used Skips 2 U for many years. They are fast, efficient and reliable. They always deal with us in a friendly, professional manner, and I would certainly recommend them to any prospective customers." 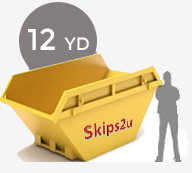 "We have used Skips2u for the last three years, regularly having two to three skips a month. We have always found the company very accommodating when we require a skip change over at short notice. 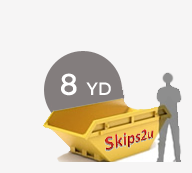 I would rate the service we have had over the last few years as excellent and would highly recommend Skips2u. Thank you for your service." - Mr Philip Griffiths, Director of Woodthorpe Sales Ltd.
First class service, reliable and friendly, would recommend and use again. 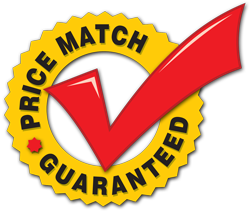 Very reliable and friendly service with competitive prices. Would definitely use them again. We used this company last year. They were excellent. The skip was delivered on time and collected when we wanted it gone. They were very competitive on price and really friendly. I would definitely recommend Skips2u. 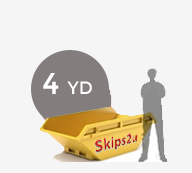 We have worked with Skips2u for over five years now, and in this time they provided us with a first class service. The team is courteous, helpful and dependable and all jobs are carried out with expertise and reliability. In the industry we work in it is imperative that our skips and grabs are on time, and we know we can rely on Skips2u to be there on time and when we need them, 100% guaranteed. To anyone who runs an organised company, you can depend on Skips2u to turn up on time! We highly recommend them! 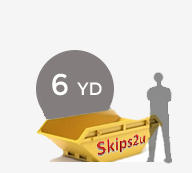 Here at Skips2u we take your privacy seriously and will only use your personal details to provide information about our products and services as you have requested from us.